KADAIKUTTY SINGAM - FINAL BOX OFFICE VERDICT IS HERE!!! 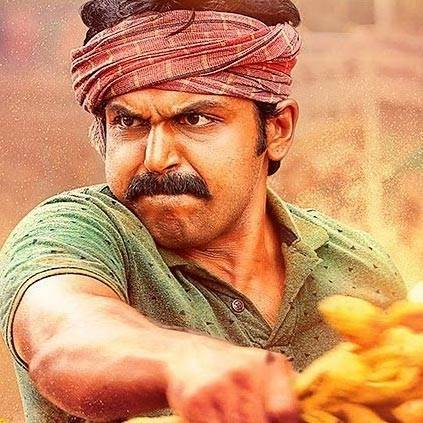 Karthi's Kadaikutty Singam is still retaining a lot of shows in and around Chennai, in important screens, despite the release of new films such as Junga, Mohini, and the Hollywood film Mission: Impossible - Fallout. For Kadaikutty Singam, we had given a Hit verdict last week. With an extended good show and an approximate collection of ₹5.3 crores at the Chennai city box office, the film has now been given a Superhit upgrade by the Behindwoods box office wing in its 3rd weekend. Congratulations Karthi and team Kadaikutty Singam for this rousing success!!!! Priya Bhavani Shankar's BOLD Reply To A Judgemental Fan!